In the previous entry to this article series about playing blues guitar licks, you learned how to keep your blues guitar licks clean even while playing with great intensity. If you did not already read that article, watch this blues guitar video first before you continue reading this page (this will help you get the greatest benefit from all the information below). You are now going to learn how to use the muting technique you mastered together with additional blues guitar phrasing techniques that will make your playing much more expressive and creative. Step #1:Improvise a small blues guitar lick and play it a few times until it feels natural. As you are creating your lick, use no more than three or five notes. By doing this, you will minimize the distraction that comes from playing a long string of notes so you can focus purely on getting as much expression as possible out of the few notes you are using (while using the techniques I will talk about momentarily). Warning: these licks are not meant to be highly creative on their own. YOU must use the techniques discussed below (and seen in the video you watched) to transform them into something truly awesome and unique. 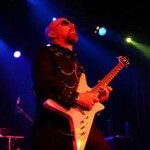 Step #2:Once you can very easily play through your lick several times, use any of the following techniques to enhance it. Do this one at a time, beginning with technique 1, then technique 2 and last technique 3. Re-watch the video above if necessary to see how these techniques should be used. After playing any note within the lick you created, use the finger that was fretting the note to immediately slide up the fretboard to a random fret and quickly return back to the original fret of the note you were playing. Then continue playing through the lick from where you left off. Don’t worry about sliding up to a specific pitch every time you do this, you are only using this technique as a way to ornament the note you chose (creating an interesting sound effect in the process). This technique creates a very unique sound and will make your lick much more expressive in a very creative way. After you have mastered this, make three more variations of the lick you began with that use slides in this manner. There are countless ways to use this idea in your playing, try to see how many cool variations you can think of. 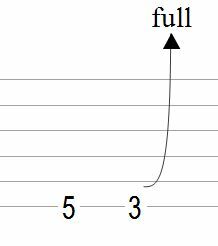 Emphasize the notes within your blues lick by using heavy (delayed) vibrato to make them sound more intense. The longest held notes will usually be the last notes of the phrase. The key to making this technique so effective is waiting to apply vibrato until a few moments pass after you’ve played the note you want to apply it to. Then apply the HEAVIEST vibrato you can perform! This vibrato in combination with a slight delay will increase the intensity of your lick by tenfold due to the anticipation that is created in the process. Work on this technique for several minutes until you have comfortably integrated it into your blues lick, then make several variations of your original lick that incorporate delayed vibrato into the notes for by varying the amounts of time you wait before applying it. Play through your lick until you reach the penultimate note (2nd to last note) and use a ‘very’ slow whole step bend up to the final note in the phrase. The best lick to try this on (from the ones I offered to you above) is the third one with only two notes. This type of extremely slow bend will build tons of intensity in your playing if done right (watch the video above again to see precisely how to achieve maximum intensity). Don’t simply bend the note up to the target pitch very quickly – this will ruin the effect. Then when you are ready to pick the final note, use A LOT of power! After you’ve mastered this technique, use it to create several variations of your original lick. 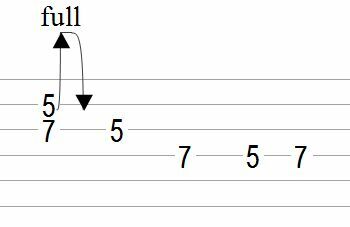 Step #3:After trying out all of the techniques above and creating many variations of your original lick, repeat the process again using a totally new lick. This will help you think of endless supplies of new blues licks because there are many different ways to use the techniques to create innovative and unique phrases. Push yourself to think of as many variations as possible while focusing on just a few notes. Notice: I told you to try all three techniques with one at a time in order to make sure that you get the maximum amount of expression from every technique. 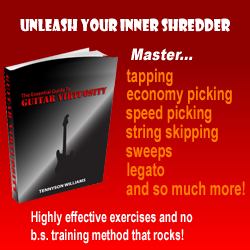 This can be difficult at first, but it will MASSIVELY enhance your blues guitar creativity. 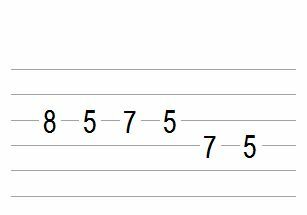 Check out this quick blues guitar lick demonstration that showcases some variations that use the techniques described in this article. Once you’ve gone through the steps of this article, you will quickly gain the ability to play killer blues guitar licks at will. However, there is much more to be learned – watch this guitar phrasing video and learn how to use rhythm to play even more creative licks.